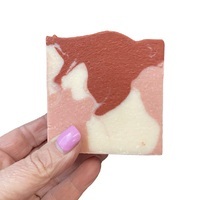 10 Reason For Needing A Himalayan Salt Soap In Your Life! The salt of the unpolluted ocean was preserved as large crystal formations that now yield what is believed to be the purest salt on earth, containing 84 trace elements and minerals. 100% Natural Himalayan salt crystal soap made from rock salt mined in the foothills of the Himalayas. 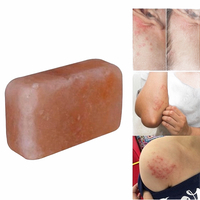 Using the Himalayan salt crystal soap therapy cleanses the body. With regular use it can control many skin conditions. *It can also help relieve viral, bacterial and fungal skin infections. It’s anti-inflammatory properties will sooth and repair damaged skin, its anti-bacterial properties will flush out toxins, leaving skin healthier. *And you can also use it as an effective body deodorant.